joanofdark.com: Did you know I'm in a board game? Did you know I'm in a board game? That's right! 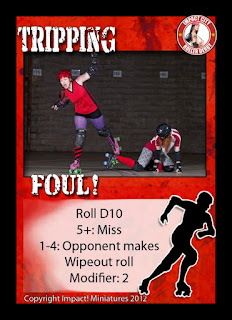 Impact made a roller derby board game, and yours truly is featured on some of the cards! I also have my own miniature for the game! It was so weird to do these photos. "Okay! Look like you're moving! But stand perfectly still!" 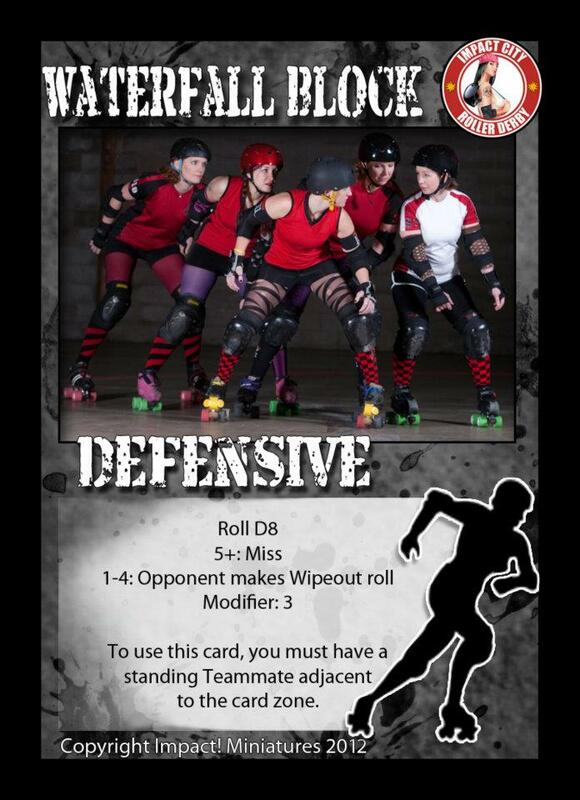 Yet another example of weird things that Naptown Roller Girls participation has brought into my life! You should check the game out if you get a chance! I'm a board game geek (Thanks Mom and Dad for all the conventions you dragged me to as a kid. Did wonders for my popularity!) so of course this was something that sang to me from the get go, and I was SO excited when they asked me to be a part of it. You'll have to excuse all these "blast from the past" blogs. I'm putting together the media page from the site (with apologies to my publicist, who mentioned that I needed to do this LAST YEAR! Whoops.) so all these things are coming right back to the surface for me. Also, it reminds me that I gave one of my friends my miniature to paint and he hasn't done it yet!